Greg has had a long career in foreign exchange. He began his career at the Reserve Bank of Australia in 1989 and in the early 1990s he was the first economics graduate at the Bank to be assigned to the foreign exchange dealing desk. During the booming years of the Australian foreign exchange market, Greg learnt from highly respected stewards of policy and market development at the Bank. He played a leading role in establishing the Bank’s approach to asset and currency management of its international reserves. 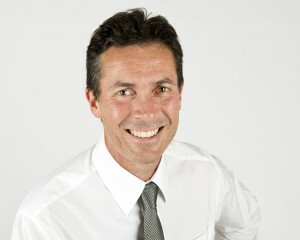 In 1996, Greg joined Bankers Trust Australia on the FX sales desk covering Australian and international fund managers. He wanted to know what it was like in the engine room of the market where traders had to make prices on demand. In those days, banks had larger teams of traders that relied on voice brokers and ‘call outs’ to other banks to manage risk. It was a tough adrenaline-filled environment that bred some of the most savvy traders. In 1999, when Bankers Trust was taken over by Deutsche Bank and Macquarie Bank in Australia, Greg was working in London as a specialist on the Australian and New Zealand currencies covering large UK institutions. After the takeover he joined Westpac Bank in New York and switched to the research side to become the bank’s first FX strategist based in New York, carving out a role covering major currencies. In 2002 he returned to Australia as senior FX strategist at RBC covering APAC currencies, and in 2006 he moved to ABN AMRO in Sydney, reuniting with many of his colleagues from Bankers Trust that were again part of a thriving full-service investment bank. Greg continued to work on at RBS in Sydney as senior FX strategist after it took over ABN AMRO in the largest financial sector acquisition before the Global Financial Crisis in 2008. He moved to Singapore in July 2012 after the bank consolidated its FX business in Asia, and was appointed Head of APAC Markets Strategy for the bank in February 2014. In early 2015, Greg began to work on establishing his own company, Amplifying Global FX Capital, and launched this website in August 2015 after completing duties at RBS. He aims to build a financial markets research service, steadily increasing in quality and scope, with the aim of creating a capacity to grow into a large capital management business. Greg launched his flagship report, AmpGFX, in October 2015. The report is a trading view orientated fundamental analysis of topical themes. In 2017, Amplifying Global FX has plans to expand its services and introduce subscriptions for its reports. Please see this link to his career history and achievements. Biography.